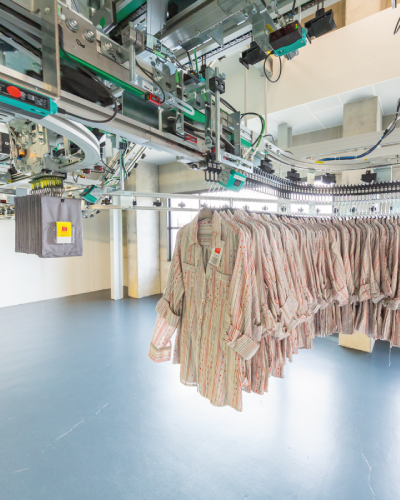 TEXTILOT is moving towards a unique concept of textile surface management for self-service shops, convenience supermarkets and hypermarkets. TEXTILOT renews ready-to-wear collections in more than 5,000 stores each week by delivering all types of products (for men, women, children) to its customers on hangers or in boxes (lingerie, for example). An e-commerce service completes this service with the removal of in-store items. Every day, 50,000 packs are loaded onto small trucks that serve stores in a specific geographic area. Upstream, it was necessary on the one hand to prepare the packs of goods for each customer and on the other hand to receive the unsold products in return. It was therefore necessary to sort the items individually before reconstituting complete lots for the next dispatch. 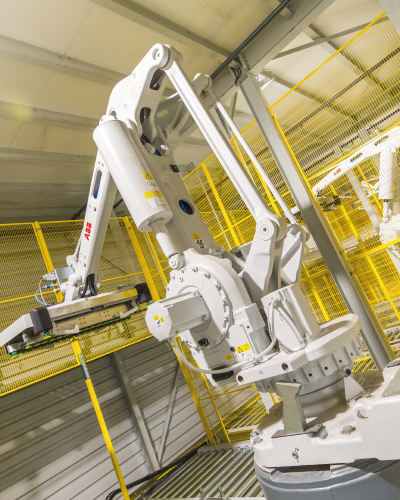 To meet the needs of the customer, TRANSITIC implemented networks of conveyors and suspended sorters adapted to handle the requested products. These products circulate in the warehouse on Mini-Trolleys in batches of 4 to 10 hanging and then bagged items. 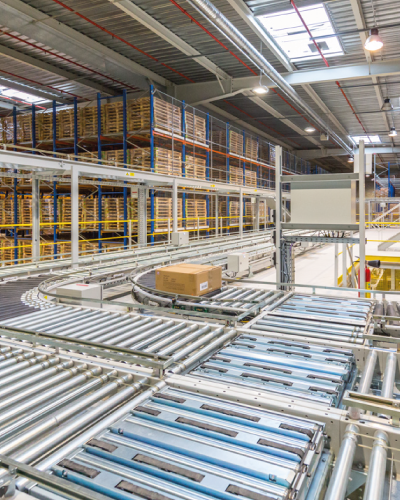 From receiving pallets of cartons to shipping in the form of bagged products, items will have been sorted according to the FILO principle thanks to an enhanced optical identification system. 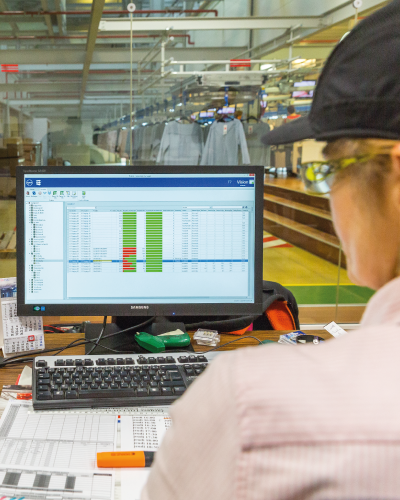 Thanks to the concept created and implemented by TRANSITIC, internal logistics allow TEXTILOT to offer increased commercial reactivity and to minimise internal costs.